Foster homes enable us to rescue more animals by providing space for an animal when there is no space at the shelter. Also, young or sick animals that need extra attention require foster homes. 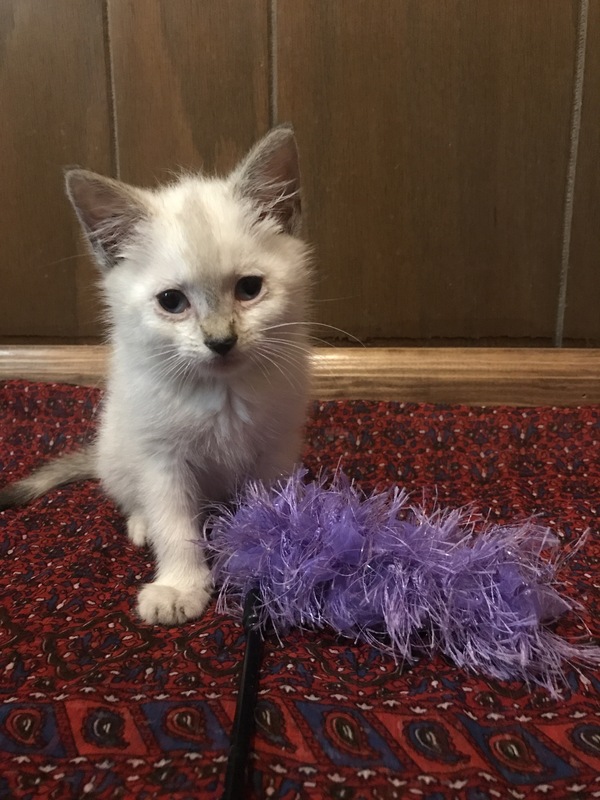 We need fosters to care for some little ones until they are old enough to be adopted. Some babies come with mommas, while some may need to be bottle fed. Some animals just need a little extra TLC until they recover from a recent surgery or medical problem. If you can make room in your home and heart for a foster, please sign up today! Fostering is a no-cost way to help rescue animals. We provide all food, supplies, and vet care. All you have to do is provide love and care! Fostering is a fun experience for individuals or families. There is no long-term commitment. Enjoy the animals, but don’t keep them (unless you want to!). Fostering is a great way to give back to your community. Fostering sets a good example for children and is a great learning experience for everyone involved! 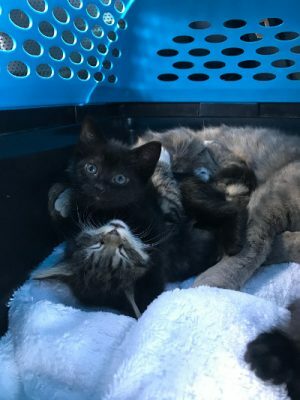 These kittens were found in a shed outside the Florence YMCA in February 2018. Their mom had tucked them away in a safe place, but it was not warm or comfortable. We quickly found a foster home for them and rescued them from the shed. After two weeks in a foster home, they went to Washington D.C. to be adopted! Penny gave birth to her kittens at the FAHS shelter in March 2018. Newborn kittens don’t have immunity to common diseases, meaning they have a high risk of getting sick at the shelter, so we sent them to a foster home. Six weeks later, Penny and her kittens went to Pennsylvania to be adopted. Dory is a feral kitten that we rescued in May 2018. She was covered in fleas and had an upper respiratory infection and severe conjunctivitis (eye inflammation). After one week in a foster home where she received lots of love and medicine, she looked like a different kitten! After two weeks in a foster home, she can no longer be considered feral! She is extremely sweet and playful, and she loves people and other animals. She was transported to Washington D.C. where she was adopted into a loving home!